Have you ever noticed how your mood follows your thoughts? For example, when you think, “I am unstoppable!”, you feel so much better than when you think, “I can’t do anything right.” See what I mean? 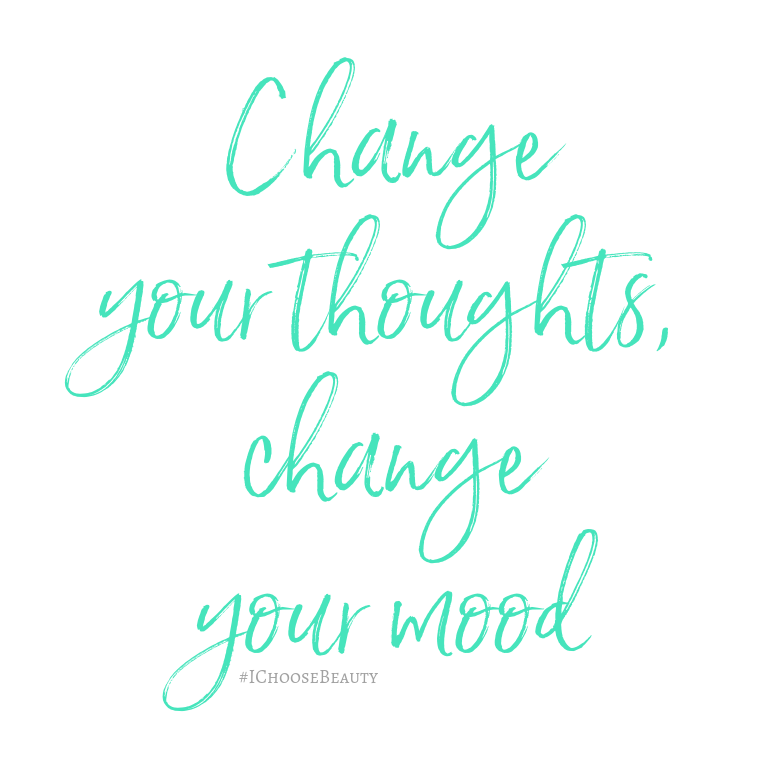 Change your thoughts, change your mood. Now, I know this can be one of those easier-said-than-done things. I have to work on it constantly. I’ve definitely gotten better at it, but it still takes a lot of practice to train my brain to think differently and stop the negative self-talk. Try it. And keep at it. See how changing your thoughts changes your mood. Want this month’s quote to keep inspiring you? Print it here.